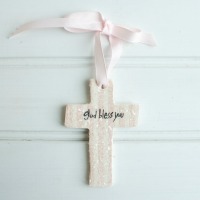 Celebrate a child's Christening with this handmade cross ornament. 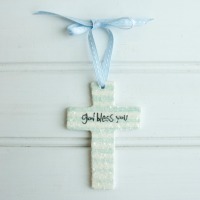 This hand painted ornament is available in blue or pink with wording "God bless you." Decorative ribbon included for easy hanging.